So, what was wrong in this picture? Why was I getting such a bad score? Well, apparently, Windows Experience Index base score is determined by the lowest number. And what was that? Yep, you probably guesses it right. It was my video card. It looks like I fell behind times in video cards department and I felt that this was a good time to catch up. So, I did some research. As always, Tom's Hardware Guide on graphic cards was pretty useful. I ended up ordering an AGP 8x, ATI Radeon GDDR3 X800 XT with 256 MB ram from TigerDirect.com for $168 (I checked again now and they are not selling it anymore, maybe I got the last one :). It's all-in-one card, although I am not currently planning to use its TV capture capabilities. - "ATI Radeon X800 XT card is not tested on xw6000 and is not supported". In fact, HP guy told me that there was a problem between it and the motherboard but I kept on asking questions and he confessed that he was not sure of that and suggested I try the *newest* BIOS which was 2 years old and I was already running that. I started tinkering with BIOS settings and one setting got my eye "AGP Aperture Size". It was set to 64MB. I did not know what it was for but when I saw someone mentioning it to fix a video card issue (not ATI), I realized that I had to change it to 256MB = what my new card had & voila! 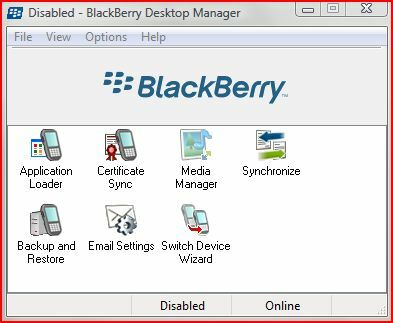 Lastly, I wrote about BlackBerry on Vista yesterday. I checked the device in the morning and as expected it was fully charged. 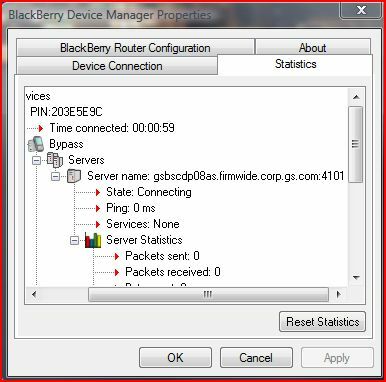 I checked the device manager and sure enough BlackBerry was listed with a yellow icon on it meaning that it was missing the driver. I went to RIM's homepage to see if they had any Vista drivers but could not locate one. 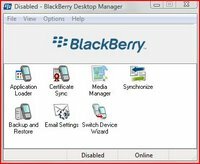 As my experience with Vista so far showed me that XP drivers usually worked fine, I wanted to give it a try by downloading and installing the latest BlackBerry Desktop Software (4.2 as of this moment). So I downloaded the software and installed it. Installation went just fine no issues. I have selected Enterprise features as mine is in fact belongs to my company. As I only wanted to charge the battery and I selected not to launch the application at start up. I will probably not be able to use it anyway. Still, when I launched it, it came up just fine. Then, I went back to Device manager to see what happened and noticed that it was now showing under Universal Serial Bus Controller. Right now, it looks like it is charging. I will check back in the morning to see if it 'really' charged. Go to All programs > Accessories. That's it. From now on, when you open Windows Explorer using that shortcut, it will go to the root of D: drive. 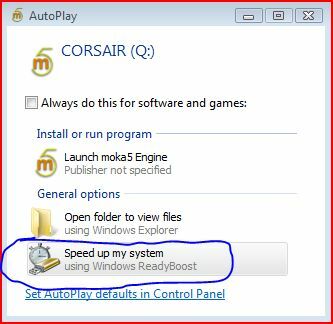 This is actually and old trick and works well with Windows XP too. One of the issues I see everyday with Vista is about the recycle bin. It keeps on getting corrupted. I suspect that this is because of my dual-boot configuration with XP and may be permissions. It does not matter how many times I click "YES", it keeps on popping up. I am not sure how to fix it yet and the weird thing is that there is nothing in the eventlogs! Jim Allchin, has an informative article on a new feature in Vista: ReadyBoost. Below is an excerpt from this article. ... With Windows ReadyBoost, if you have a flash drive (like a USB thumb drive or an SD card) you can just use this to make your computer run better with Windows Vista. 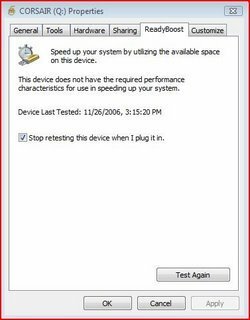 You simply plug in a flash drive and Windows Vista will use Windows ReadyBoost to utilize the flash memory to improve performance. There are some articles on microsoft site that talk about ReadyBoost but they do not mention specifics. As USB drives are very common these days, I think Microsoft had the right idea. Vista also supports Hybrid drives (HHD = regular HD + integrated NVRAM) via a technology called ReadyDrive. These are welcome changes. What I understand from Allchin's message though is that Vista does not perform considerably better compared XP if you do not have a high-end system, which is a bit disappointing. Would not it be nice to see a lightning fast OS after so many years of development. On the comment section, somebody left me a message with a link to Tom Archer's blog. The link was not working but I was able to read the article when I hit the home page of the blog. I am not sure what is the problem with my USB stick even after reading some of the requirements as it they did not mention a tool to measure the specs of usb stick but a few people suggested that they got their usb stick working when they formatted it with ntfs. There was a link to another useful article at DvNation. Check it out. I learned programming in Perl 2 yrs ago when I started supporting an in-house-developed Java/Unix based application. I have seen Python gaining ground since then and got interested in it. Today, I came across a bunch of very interesting and absorbing articles about several programming languages but mostly focused on lisp, perl and python. It all started with Paul Graham's "Revenge of the Nerds" article. He is a Lisp expert and to be honest I did not know much about lisp until I read his article. It was a provocative one and he got a lot of responses which he responded with "Re: Revenge of the Nerds". Paul Prescod has written a rebuttal to Revenge of the Nerds, On the Relationship between Python and Lisp. Peter Norvig (Google's Director of Research) has also written about this topic in Python for Lisp Programmers. As I mentioned before, I have installed Vista next to XP and I am dual-booting. I had permission denied errors when I had tried to access files and folders that were created by XP. Anyway, today I realized that permissions I set on the top level were not really inherited at all levels. I noticed it because I use Google Picasa to organize my pictures I realized that I was missing some pictures in Picasa database. What's more, when I browse to these folders via explorer, thumbnails were not showing up. This is supposed to reset the permissions so that they get inherited from the levels above. This worked and I noticed that Google Picasa was discovering new pictures it was not able to read before. Thumbnails were showing up properly too. Have you heard of Moka5.com or Live PCs. Well, it's a VMWare based technology and well-worth checking out. The only downside is, it does not yet work with Vista and requires XP SP2. BTW, if you would like to download VMWare images and run them on your PC, you download free VMWare Player software from VMWare. VMWare Server is another free product you can download. LivePCs™ are virtual PCs that you can create and share just as you can share the rest of your digital life (photos, music, videos, etc..) A LivePC contains everything needed to run a virtual computer — an operating system and a bunch of applications. You can create and share your own LivePCs, or use the public LivePCs created by others in our BetaGarage™. You can use LivePCs on your desktop, or you can take them with you everywhere on a portable USB drive. With LivePCs, a family can maintain separate computer personalities (work, home, kids) on a single PC. Software developers can make it easy for users to try out their latest suite of applications. 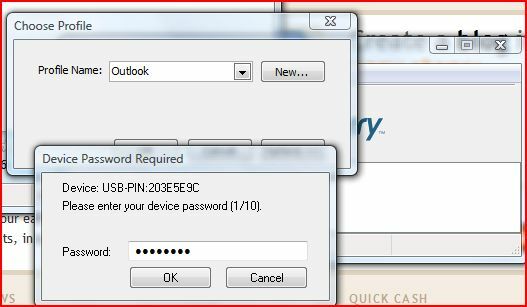 Professionals can go on vacation and take their LivePCs with them on a USB stick to use "just in case". I have a Fujitsu Lifebook that already has XP on it. I wanted to install Vista on it today. As the current XP installation was occupying the whole partition, I used Partition Magic 8 to resize the current partition, creating enough space for Vista. It was not a trouble-free resizing though... I launched Partition Magic 8, selected the current drive and clicked resize and reduced current size of the partition from 60GB to 30GB. Change required a reboot. A file's record has a zero reference count, but the file appears in at least one directory. Anyway, ran check disk and resized the partition again. 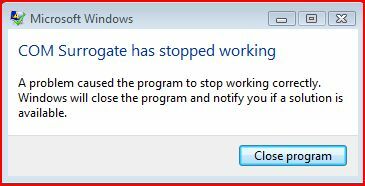 After reboot, Partition Magic kicked in and looked like doing its job but after a while it gave me another error & quit. Error 983: "Too many errors found, process halted"
Once again, Symantec documentation suggested I run "chkdsk /f". I did not run it again because once I logged into XP, I noticed that partition was already resized. Vista did not complain either and installed properly. Faulting application DllHost.exe, version 6.0.6000.16386, time stamp 0x4549b14e, faulting module unknown, version 0.0.0.0, time stamp 0x00000000, exception code 0xc0000005, fault offset 0x00bbb5ed, process id 0x594, application start time 0x01c70c6a663ae8c3. The following content is this event's explanations and user actions for earlier versions of the Windows operating system. Although this content is not specifically applicable to the version of the operating system that you are running on your computer, you might find the information of value. No results were found for your query. Please see Search Help for suggestions. Unfortunately, renaming did not fix the issue for me but at least I know what's going on! Finally! Vista is out and I have my hands all over it. I installed it on two machines and started testing it. Problems started during the installation, it failed to find any drives. Problem: Both of these machines had promise IDE/SATA controller cards (Ultra 133 & TX2300) and Vista failed to recognize both. Solution: Use Windows XP drivers! I am surprised but it worked. It's really cool that during the Vista set up, you can plug in a usb device and it will immediately recognize it and let you install drivers from there. So, I downloaded the XP drivers for both cards and Vista happily accepted them and showed me my hard disks. Problem: After the installation, I had no internet access because it did recognize my Broadcom NetXtreme Gigabit network card but failed to find a suitable driver for it. Solution: Yep, XP drivers work just fine. Once I had internet connectivity, I was able to download the beta drivers for my Creative Sound Blaster Live 24! I still seem to have a problem with the microphone but did not look deeper. Problem: I installed Office 2007 and tried add my .pst files. I got access denied. When I checked, I realized that all the files in all the drives except the one I installed Vista were read-only. Even though permissions seemed OK as I was in the administrators group, and administrators group had Full access to all files and folders in all drives. Solution: I created a new group and added my account and my wife's account in it. Then, I made this new group the owner of all files and folders by taking ownership. I then added this new group to the drive security on the top level and then replaced the permissions throughout my system. After logging off and logging back in, I was able to access all files and write to them. I went back to XP to see if anything was broken but other than "Recycle bin is corrupted, empty it?" message all was fine. So far all the application I was running XP are working on Vista except McAfee Antivirus Plus Suite... It is not compatible with Vista and when I installed it anyway, it crashed explorer and everything else. I had an unusable system, so I had to reboot and log back in safe mode to uninstall it. Windows Vista comes with a firewall like XP (but more advanced) yet because Enterprises would not let them, they would block all inbound traffic except allowed but no outgoing traffic, which is not acceptable to me as this means leakage! I am yet to find a firewall that would work seemlessly with Vista. Double click "User Account Control: Admins Approval Mode for the Built-in Administrator Account" and select "Disabled"
User Account Control is similar to Ubuntu's root access. In Ubuntu, you run everything as a normal user. When you need to be super user (root) you use sudo in the command line. In GUI, it asks you for your password. Vista can imitate the same behaviour. By default, instead of asking you for your password, it merely tells you that the action you are taking requires elevated privilage (administrator context) and asks you to confirm it. The purpose is that if an application is trying to do something without you knowing it, it would be stopped. So, if you are changing these settings, you may not be doing yourself a favor. A great way to figure out the combination to a lock that you had forgotten what it was. This is intended for information purposes only. Ilya Hevnikov's blog has a very nice guide to how to trible boot, Ubuntu, Windows XP and Windows Vista. As I use the first two and intend to install the third one as soon as it becomes available at MSDN Subscriber Downloads, I think this may prove to be useful (so blogging it). Additional products and language versions will be made available soon. In addition, we look forward to adding Windows Vista to our slate of offerings beginning November 17. Get it First! from MSDN Subscriber Downloads. 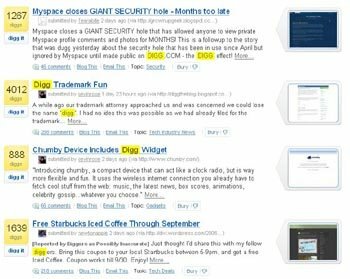 "The Sysinternals web site was created in 1996 by Mark Russinovich and Bryce Cogswell to host their advanced system utilities and technical information and Microsoft acquired Sysinternals in July, 2006. Whether you’re an IT Pro or a developer, you’ll find Sysinternals utilities to help you manage, troubleshoot and diagnose your Windows systems and applications. If you have a question about a tool or how to use it, please visit the Sysinternals Forum for answers and help from other users and our moderators." goes the new home page of SysInternals under Microsoft Technet umbrella. They also have a new blog. Check it out! 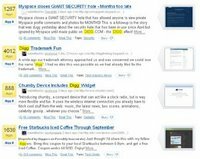 I had a post on "Less known Firefox Addons" sometime ago. Scott Finnie has a "live" document for "Best Firefox Extensions and Customizing Tips". It's a good document and I found the mentioned addons quite useful. The one, I should mention is BugMeNot by Eric Hamiter. Once installed, you can right click on a login box, on several sites which requires you to log on before displaying the content (eg. The New York Times), and choose "Log me in with BugMeNot"! Go ahead & check out BugMeNot.com for this great service! Install Always Remember Password 0.6: Good for sites like Yahoo, hotmail, who offers "remember password" but does not actually remember it. Duplicate Tab: Right click on a tab and create a duplicate of it. I love it! This is BIIIIIG News! Many CIOs were pushing MS to work with Linux. 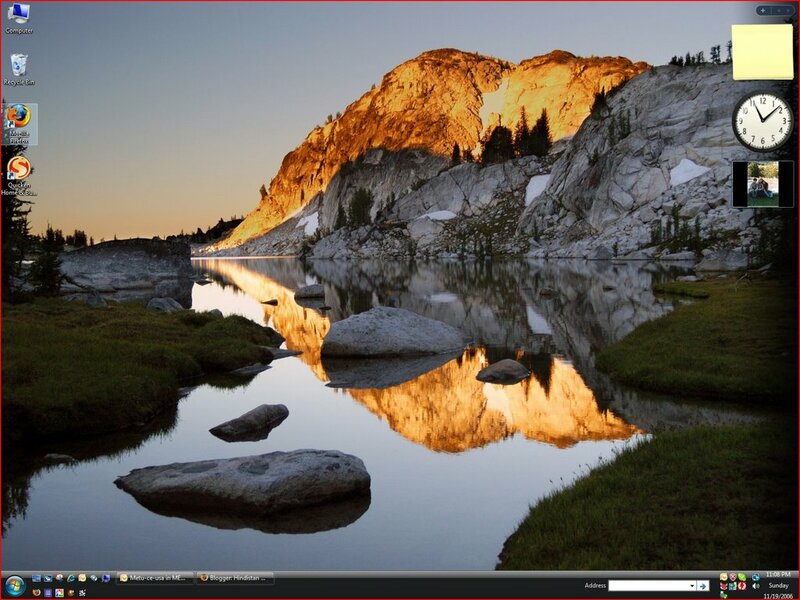 MS Office is the hands down killer app suite and running it on Linux is a win-win situation! SAN FRANCISCO (MarketWatch) -- Microsoft Corp. and Novell Inc. are entering into a partnership that could help Novells Linux operating system, according to a media report Thursday. Under the agreement, which isnt final, Microsoft will offer sales support to Novells Suse Linux, the Wall Street Journal reported on its Web site.